A splashback is a stylish way to ensure your walls remain free from splashes and stains. This black walnut block laminate splashback measures 3m x 600mm x 9mm and features an attractive black walnut block effect. 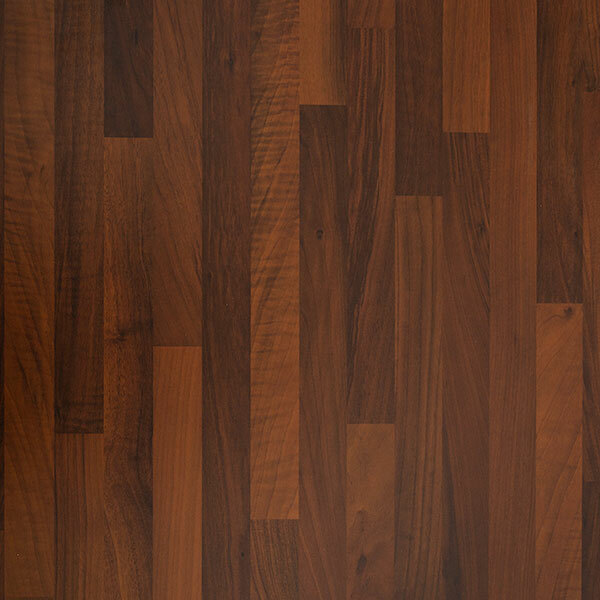 This realistic design matches our black walnut effect worktops for a stylish, cohesive look. This black walnut effect splashback is a low-maintenance option for any kitchen. Comprised of a sturdy fibreboard core, covered by a durable, water-resistant decorative laminate top layer, this splashback is a great way to ensure your walls can be wiped clean. No specialist cleaning supplies are required for this item and it can be cleaned using a soft cloth and some warm soapy water.